Halloween is creeping up on us. Wrangle up all your favorite goblins for a Halloween bean bag toss. 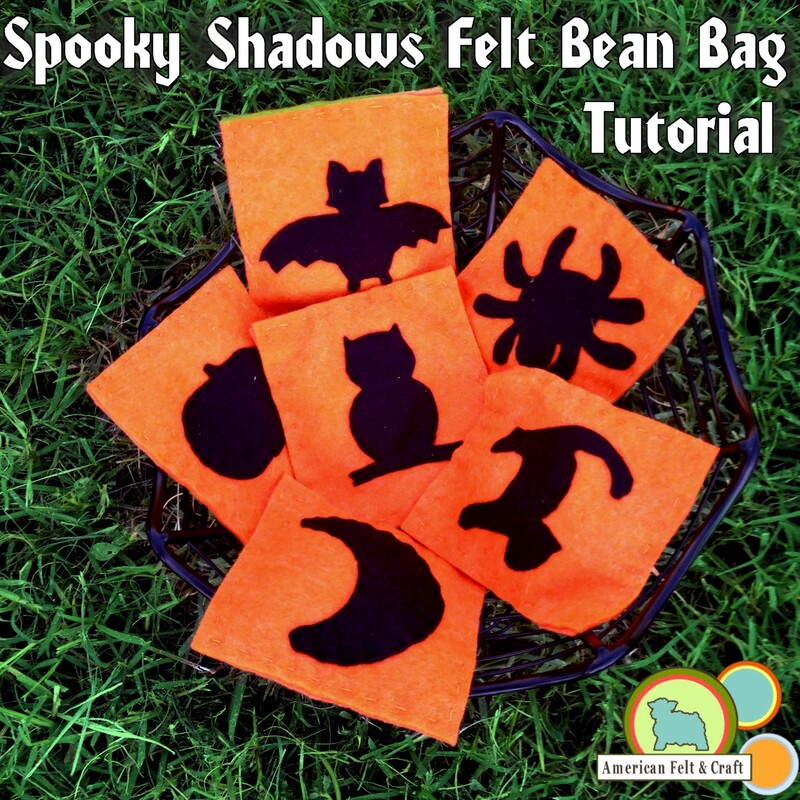 These simple yet elegant bean bags are a great project for the beginning hand sewer. 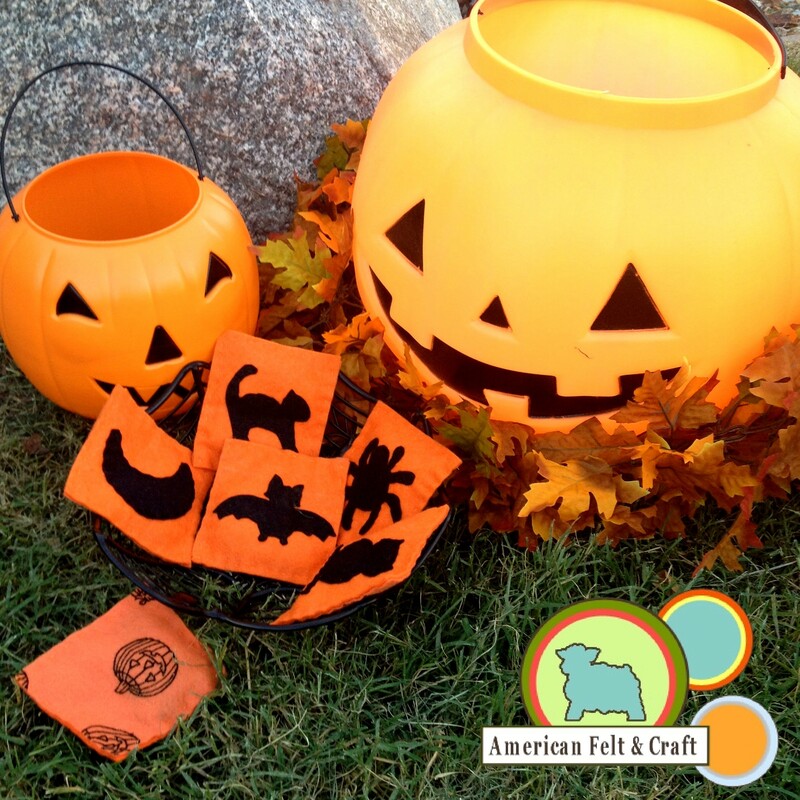 Toss in some a few pumpkin trick or treat buckets and you’ve got yourself an easy Halloween party game for all ages! OPTIONAL: Plastic pumpkin trick or treat buckets. 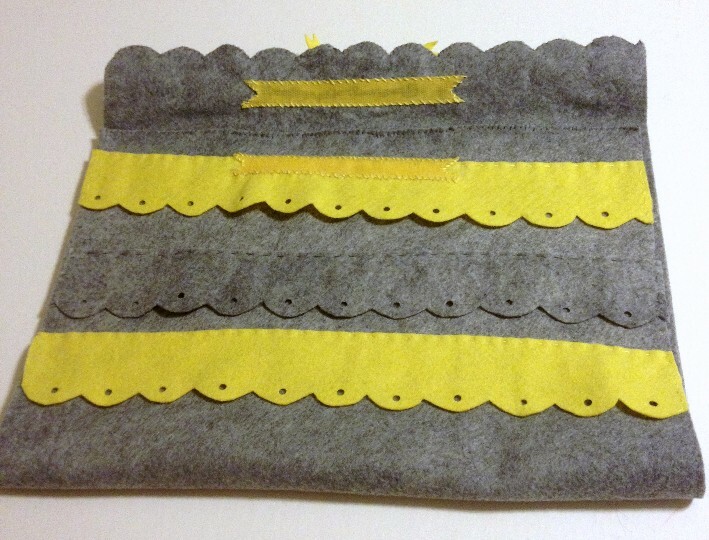 Cut the orange and patterned felt sheets into 6 rectangles. 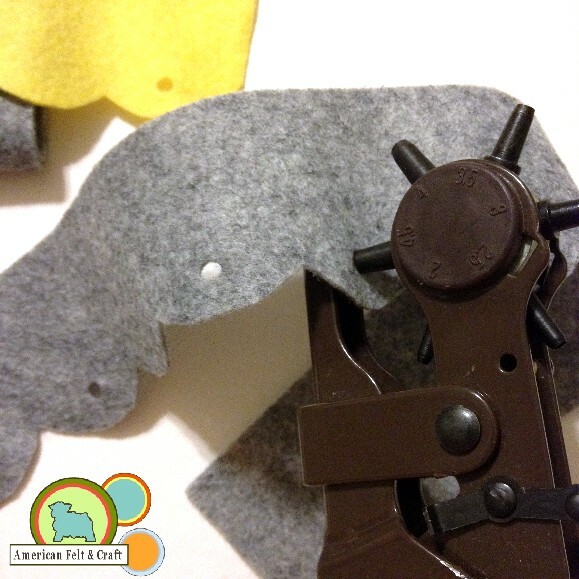 Cut 1 of each of the felt shadow shapes on template below out of black felt. 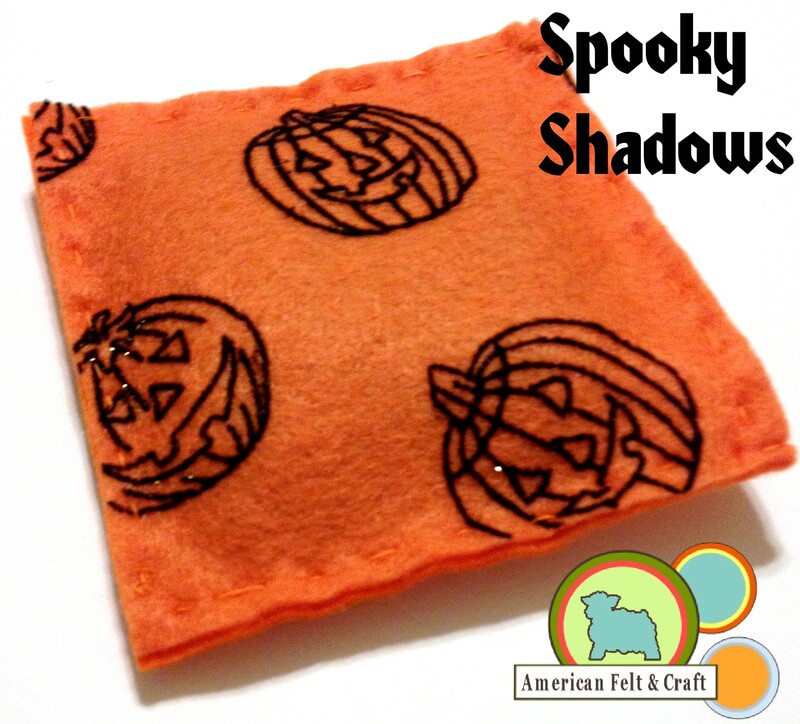 Sew down one of felt shadows to each of the orange rectangles. 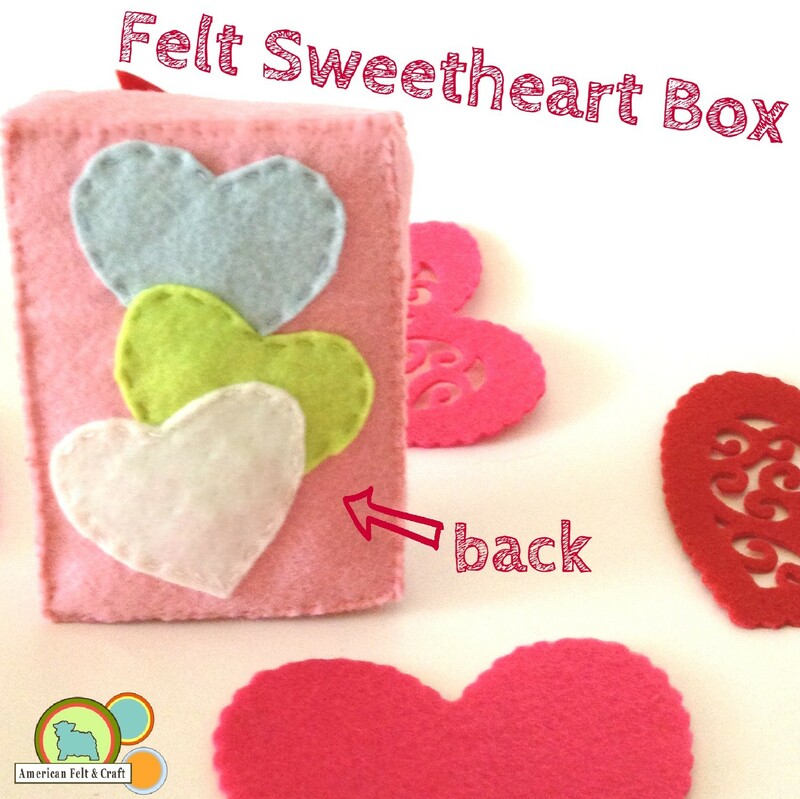 Place printed felt rectangle on back with print facing outward. 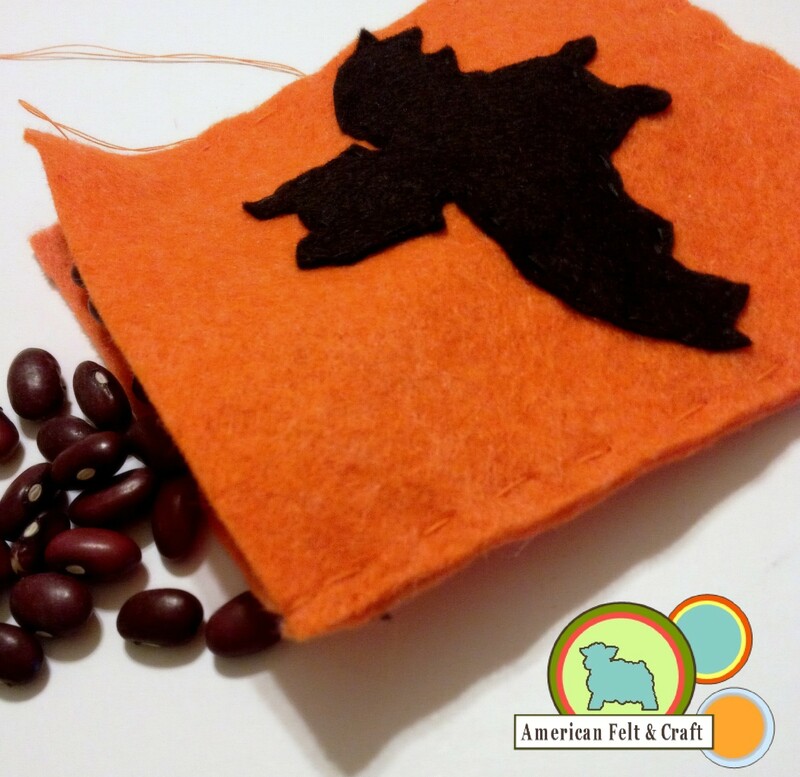 Using a running stitch sew around the outer edges, stopping to fill with about 2 tbsp of dried beans before closing bean bag. 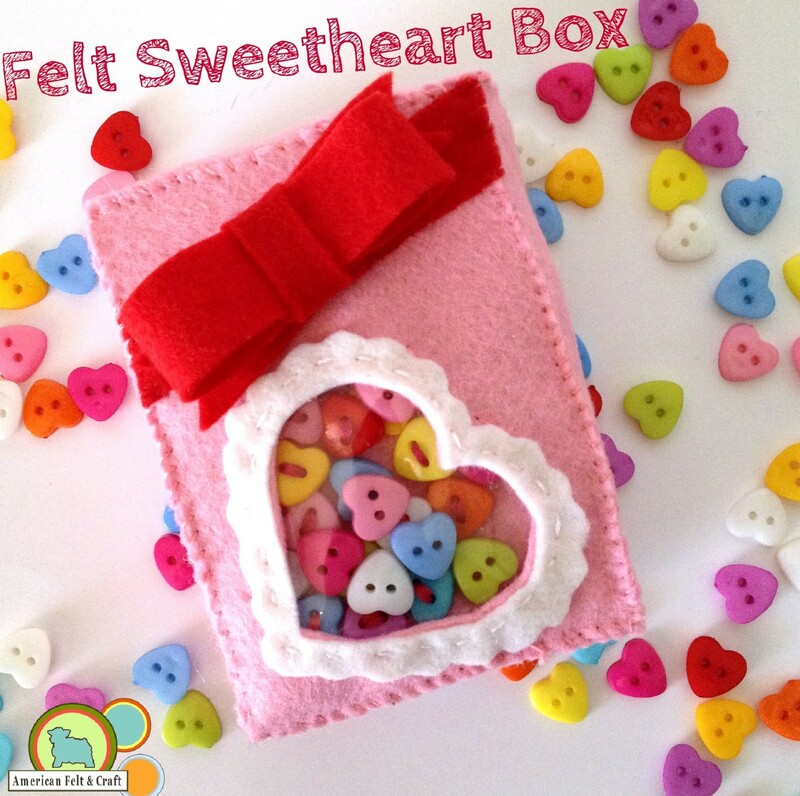 Nothing says Valentine’s day like the iconic pink sweetheart box. Cut heart shape from the center of one of the A pieces. 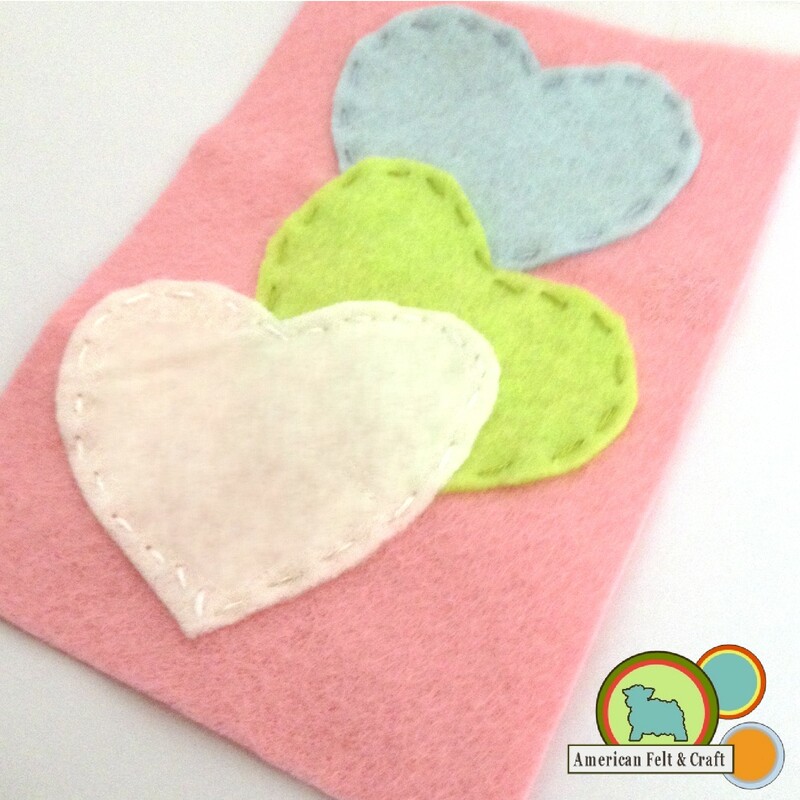 Cut out felt heart shape (I) from white, chartreuse, and sparrow colored felts. 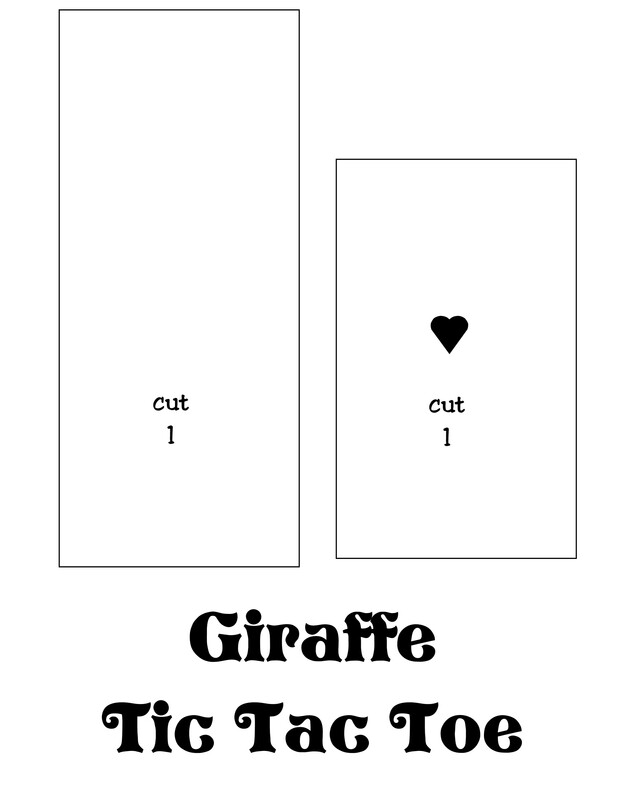 Cut (C) from white felt. 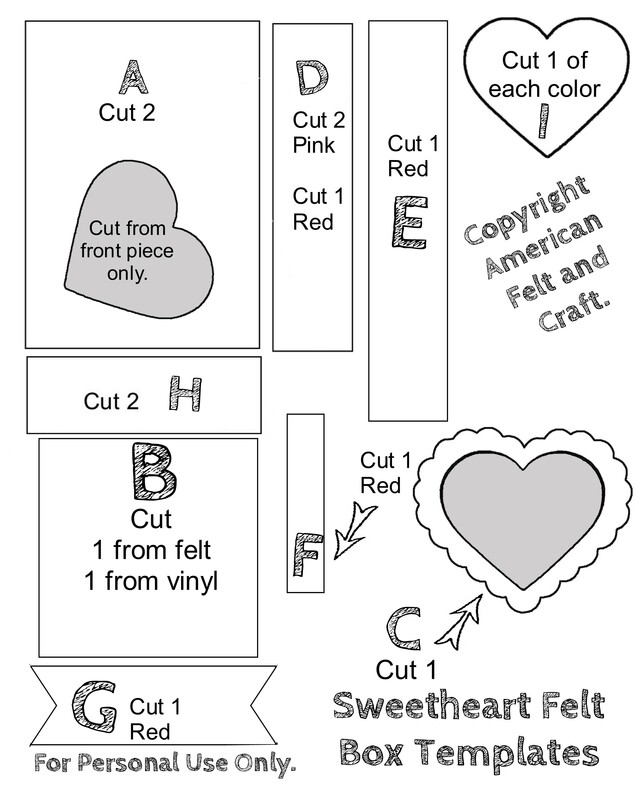 Cut one each of templates E, F, and G from and 1 D from red felt. 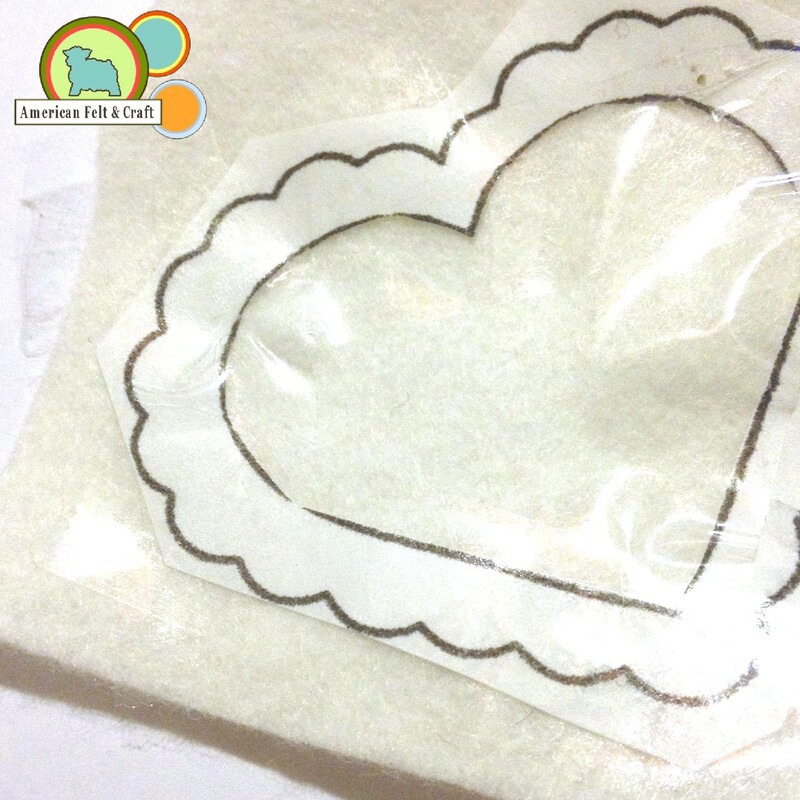 Trace out the heart shape onto template B try to leave lots of spacing around the heart it will be easier to sew the vinyl down. 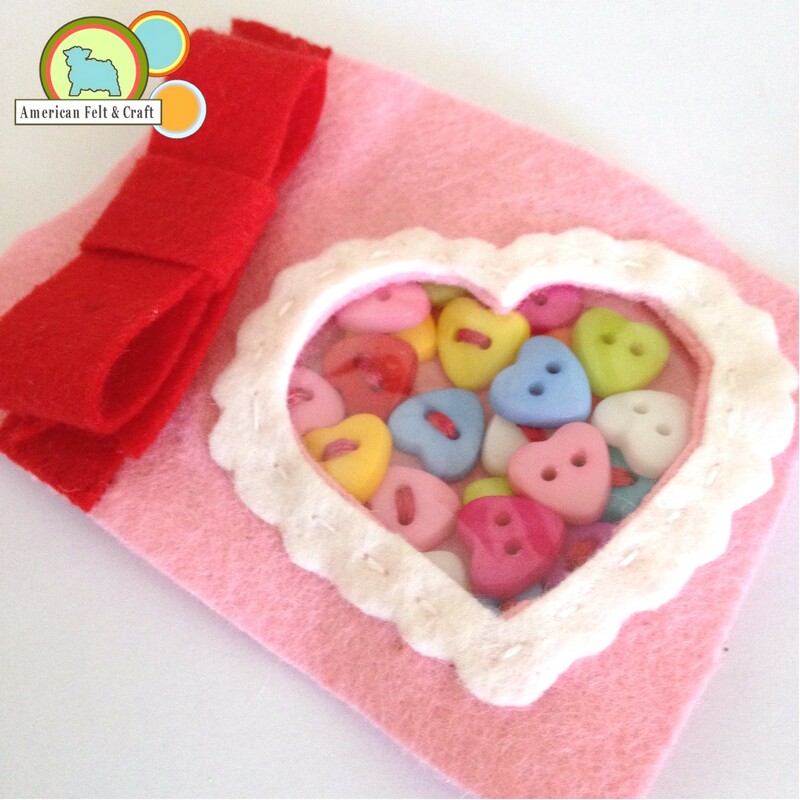 Cover heart shape with buttons – This doesn’t need to be exact. 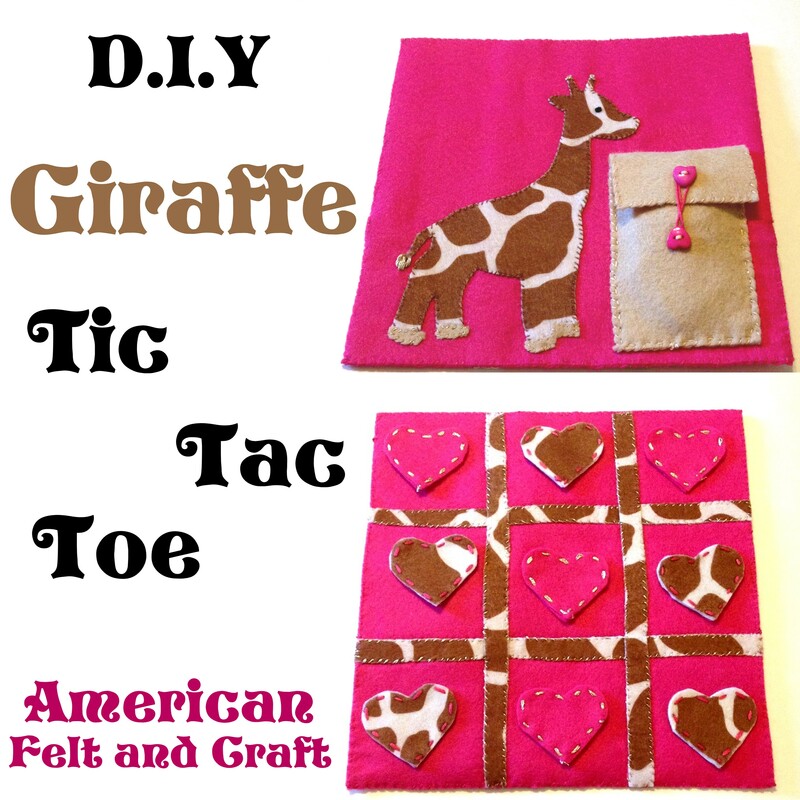 Sew vinyl over button pieces. 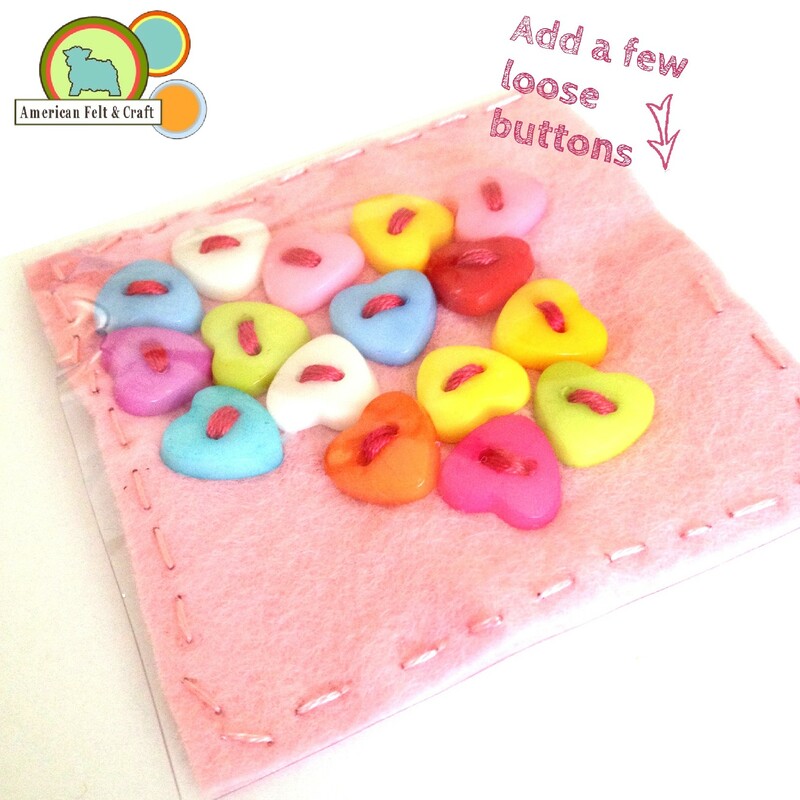 Throw a few loose buttons in if desired. 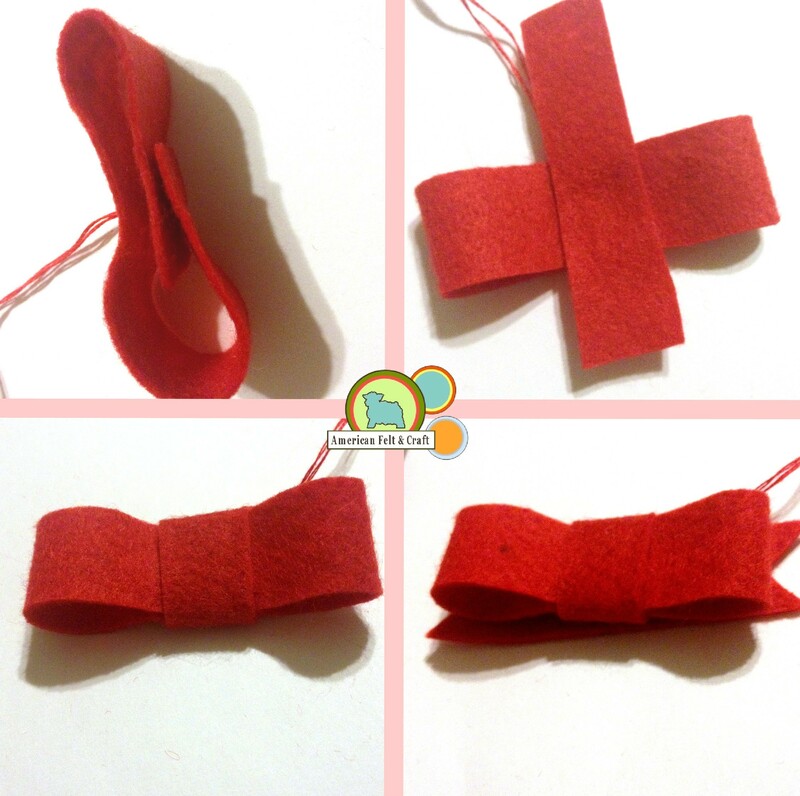 Stitch down red D piece using an overcast stitch and matching thread. 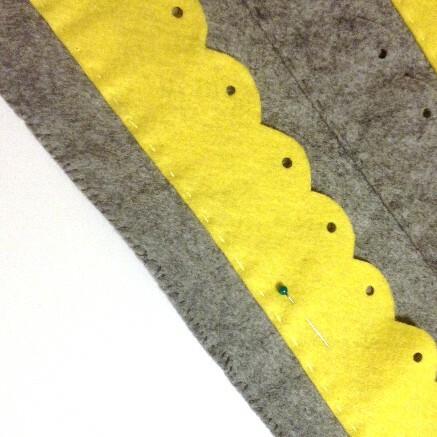 Trim ends of felt so they fit at an angle. Loop E piece over as shown and stitch down. 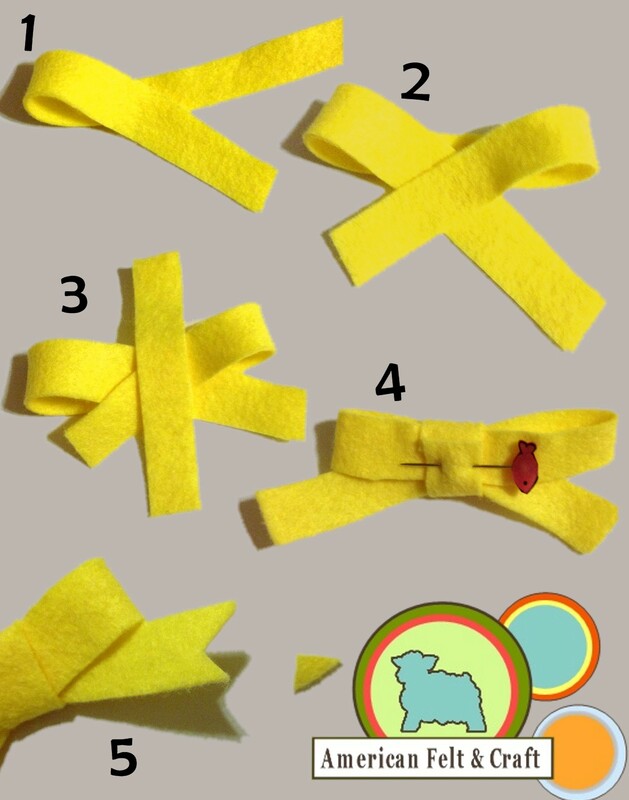 Wrap F piece around the loop and stitch down. Lay onto G piece and secure with a few stitches. 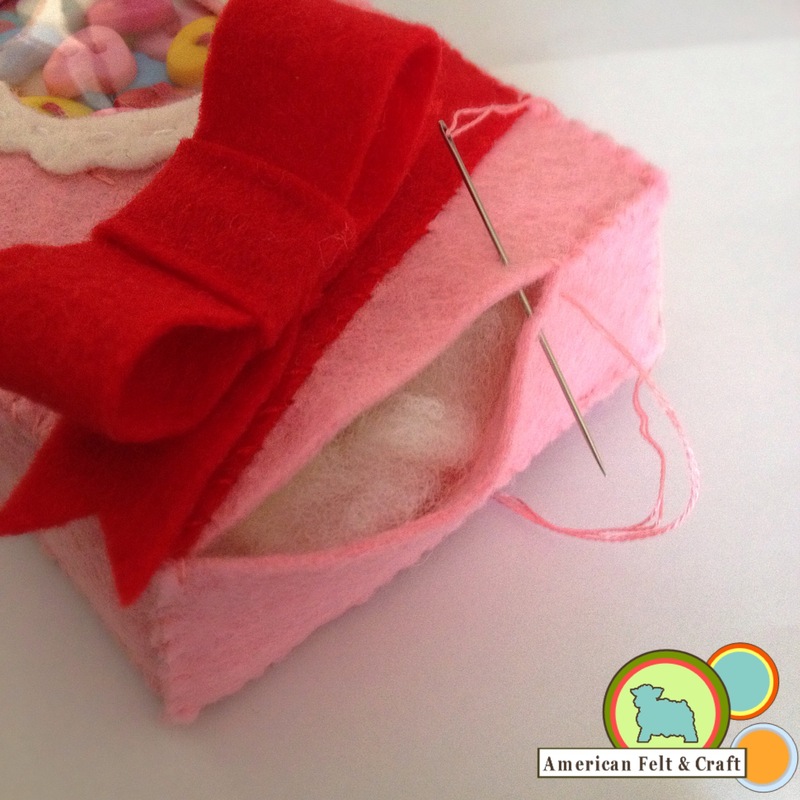 Place the ribbon in the center and stitch down. Place vinyl covered B piece behind the box front. 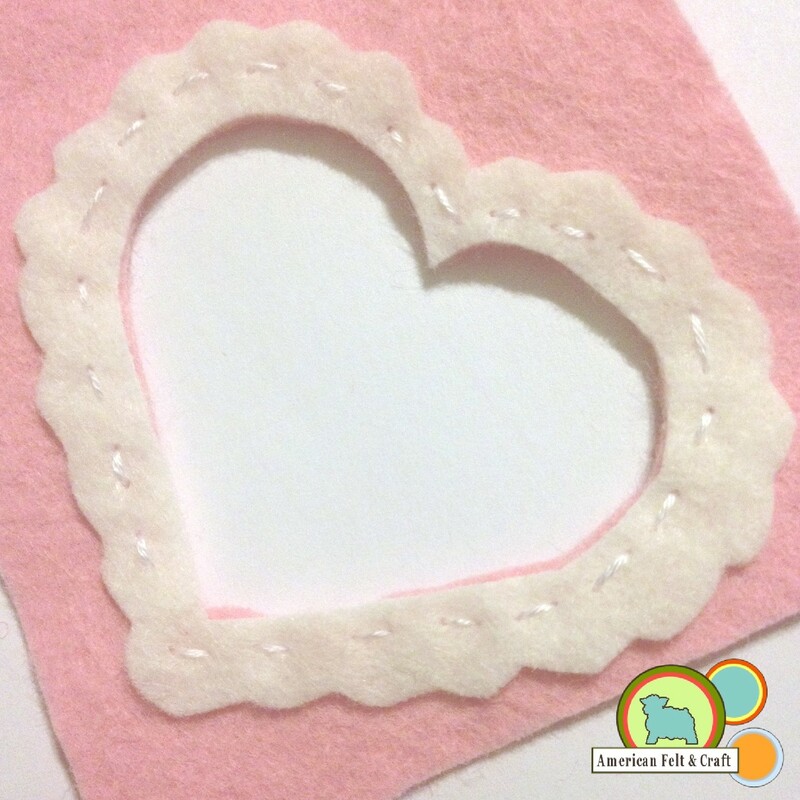 Carefully stitch together using matching thread and hiding the stitches under the loose scalloped heart edge. Set aside. 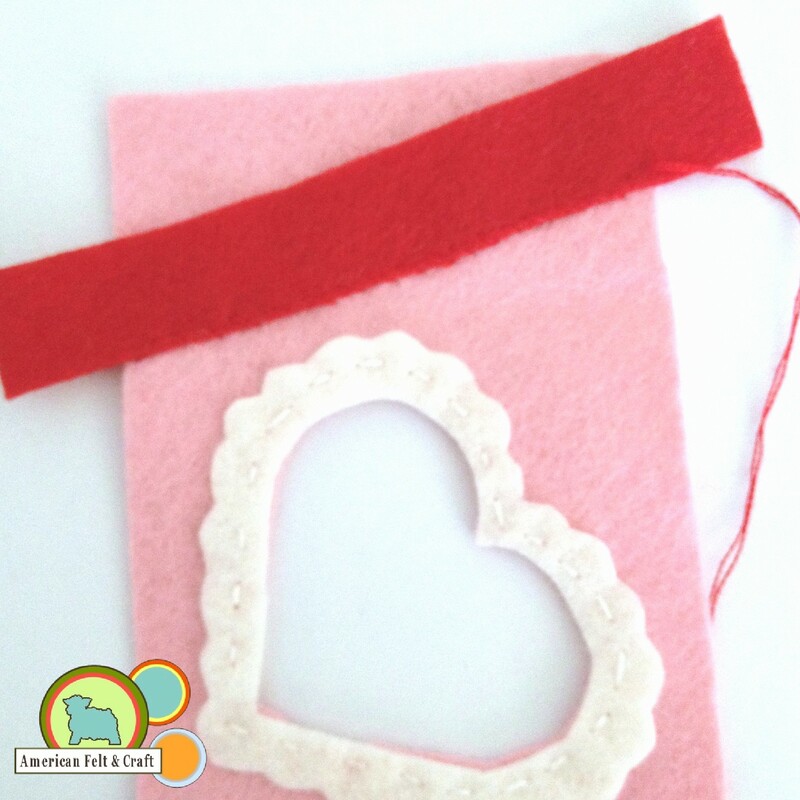 Lay out heart shapes (I ) as shown and stitch each down with a running stitch and matching thread. 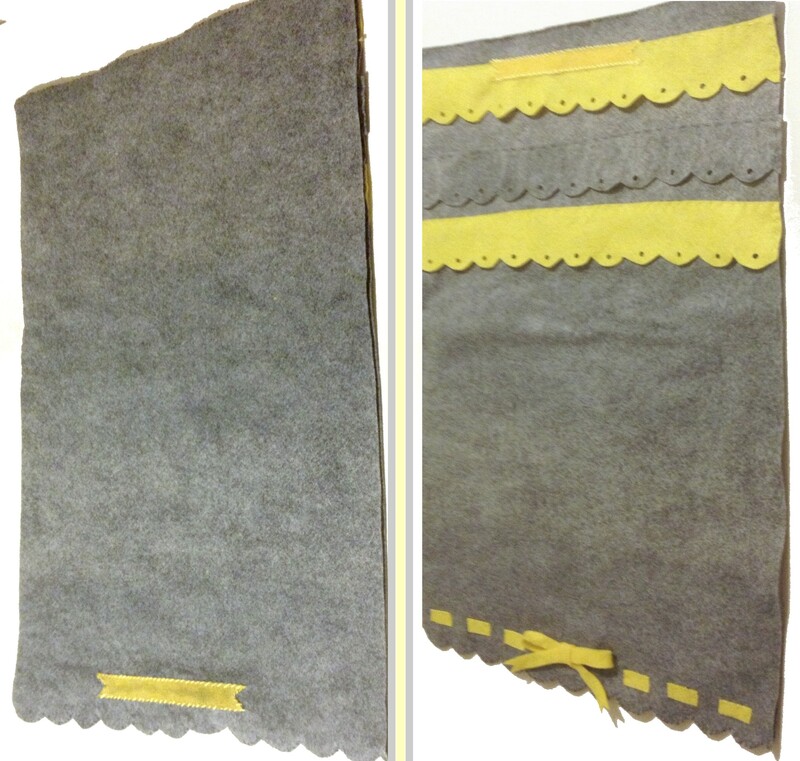 Sew sides together (D and H) Attach back piece to frame with an overcast stitch with matching thread. 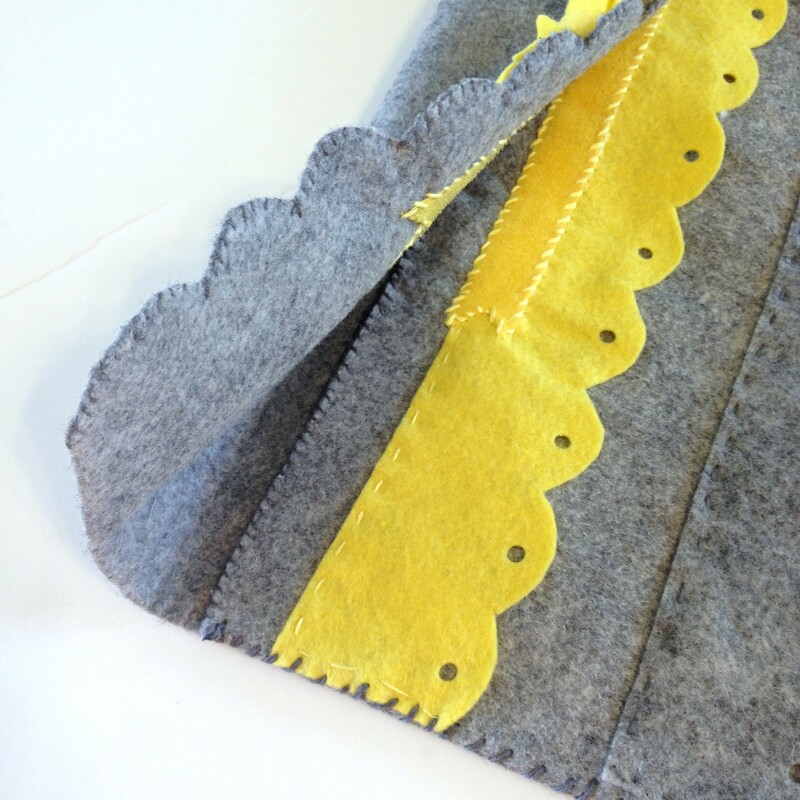 Sew front on, stuffing before you close. 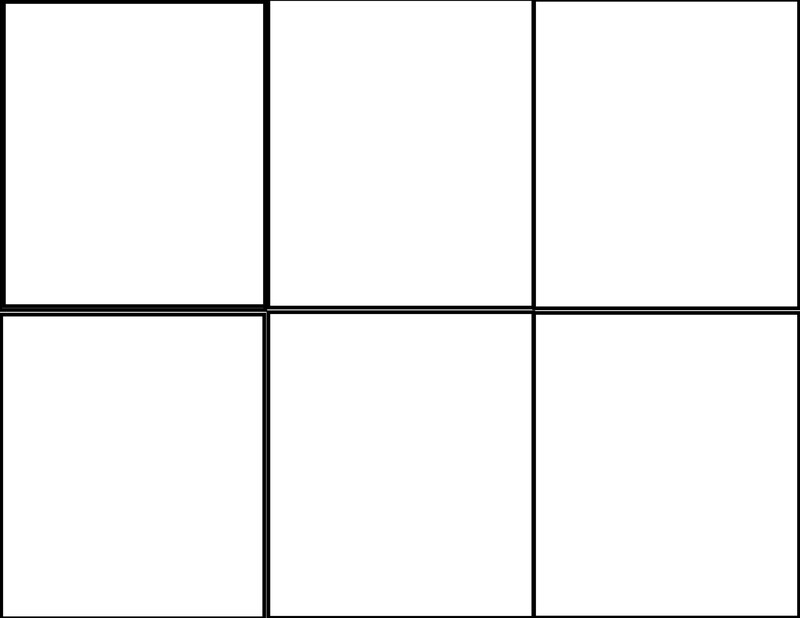 Print templates as full page. 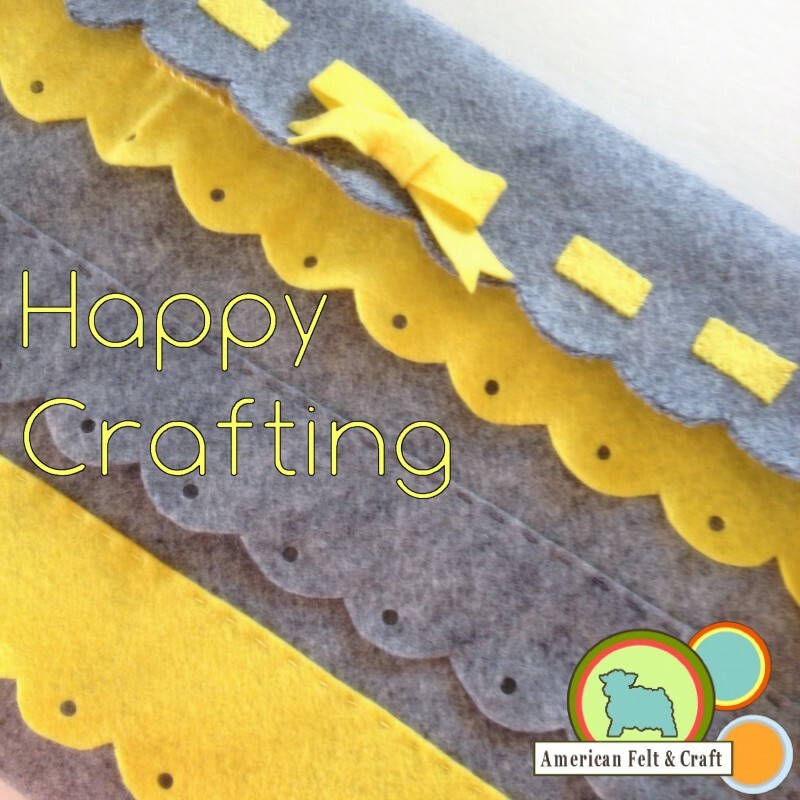 We’re planning out future felt blog posts- tell me what you’d like to see on our blog. Ahh Domestic Bliss never seems to last as long as you hope it will. At least we’ll always have our memories. Next week kicks off our third and final felt tree theme – be sure to join us for another week of felt ornament tutorials! …And be prepared for a big finish! As Hipster Week winds to a close lets take a look back at all the ornaments and the completed tree shall we? Above you will find the quintessential Hipster Christmas Tree with all its trappings. 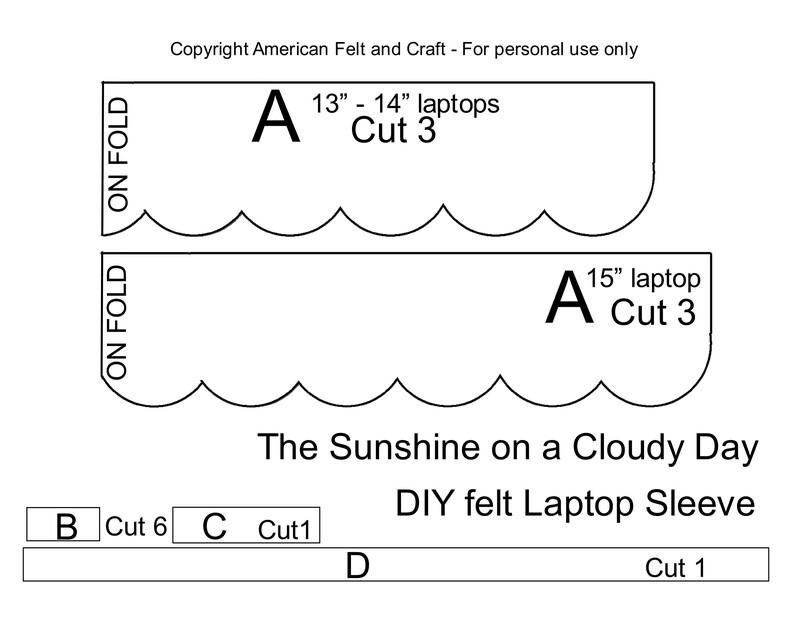 Here’s what you will need to make your own . 1 Sparkly fedora and vintage scarf preferably thrifted. 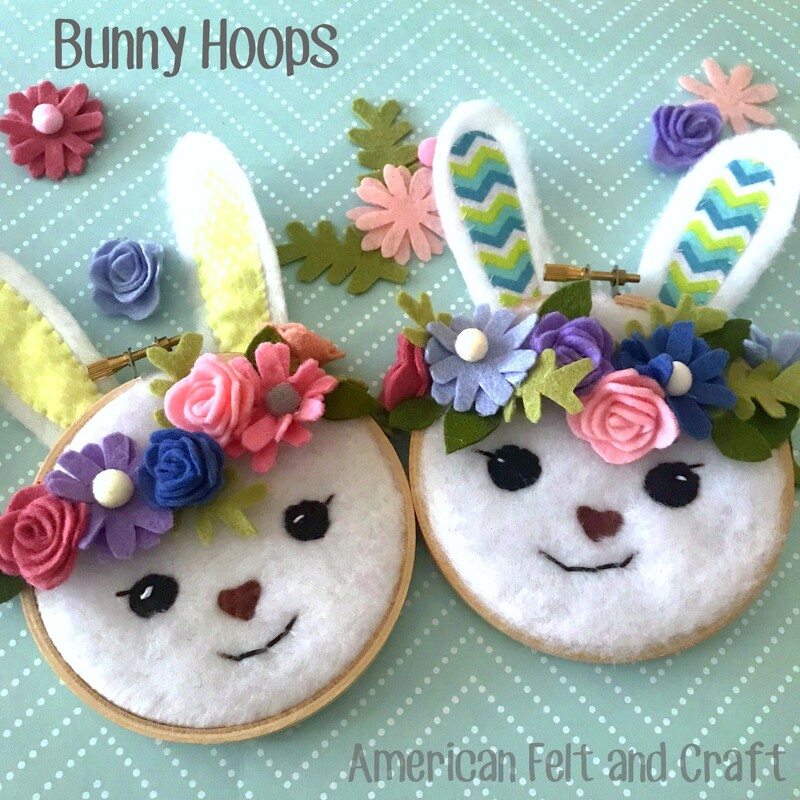 Join us all next week for another entire week of felt ornament tutorials! Next week is “Domestic Bliss week” grab your prettiest apron and pearls and meet me here Monday! Check out our Store – the pictures are really pretty. Lets face it felt is a pretty amazing medium to work in but it does have its limitations chief among them is the lack of pattern. 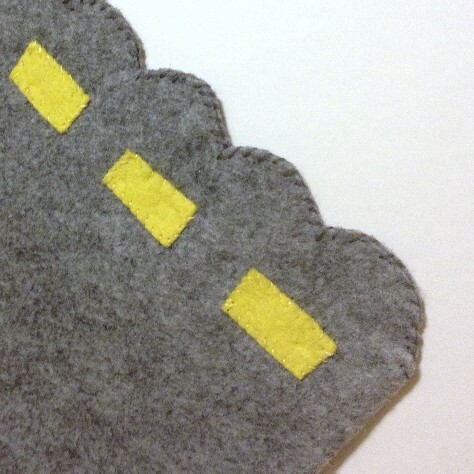 Polyester patterned felt is available in very limited prints but what if you’re a felt purist or your imagination refuses to be constrained by commercially available choices? You have felt visions, nay dreams which you cannot ignore. You seem like a free-thinker, I like that. So I’m here to help you… and I brought freezer paper! Prepare to have your mind blown…unless you’ve seen this before in which case settle back down and don’t ruin it for the rest of the class! Acrylic Paint & Textile Medium or fabric paint. The first step is to create a stencil to work with. 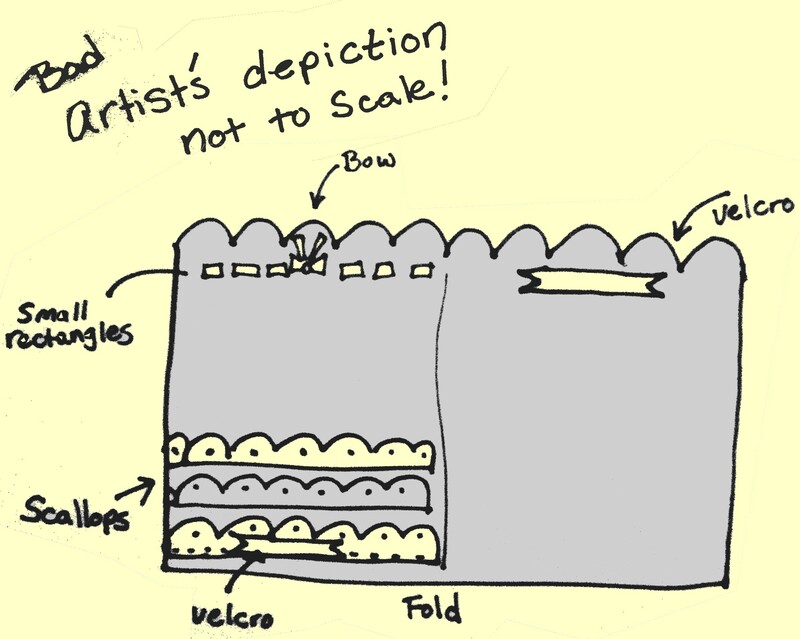 You will need to be able to cut away the area you plan to paint so simple outlines work best. Making the areas to be cut away a darker color will help keep your head from spinning when you try to figure out parts to cut later. 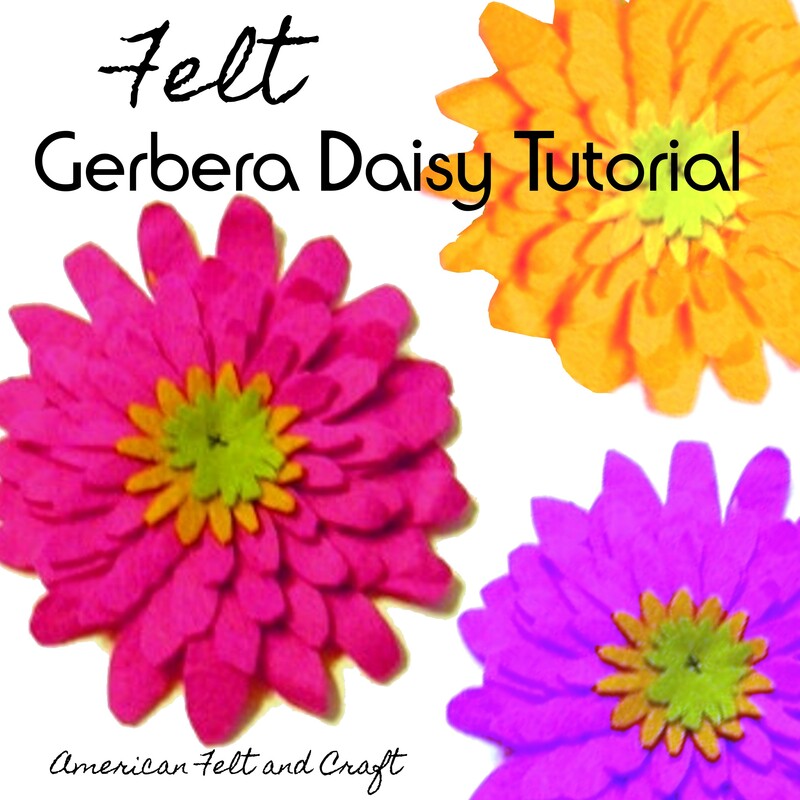 Anything the freezer paper covers will stay the color of the felt. Whatever you cut away will become the print. 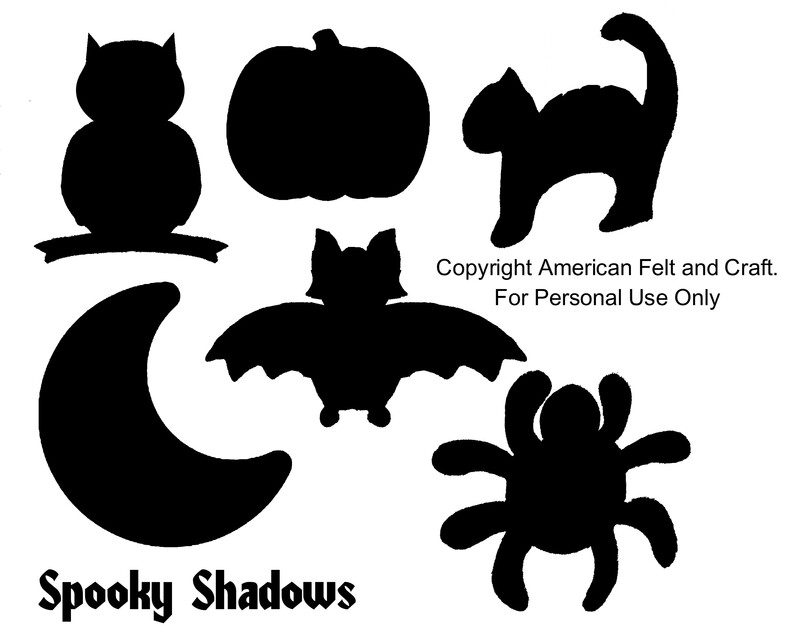 The templates for these 6 patterns are posted free through our store if your interested in any of these styles. Freezer paper can be bought in printer sized sheets or in rolls at the grocery store in the sandwich bag and plastic wrap isle. It is not the same as parchment, butcher, or waxed paper. The thinner, grocery sold freezer paper (rolled) is more opaque and will allow for easy tracing, but it also tears more easily and is a bit more cumbersome to cut. Printer sized freezer paper sheets (quilters paper) , thicker and sturdier than rolled freezer paper. If you are printing onto the paper I highly recommend buying pre- cut freezer paper meant for printers. Paper sold on rolls even when cut down tends to hold its curl and can jam up printers. Plus commercially available freezer paper sheets (often called quilters paper) is often thicker and adheres to the felt better. 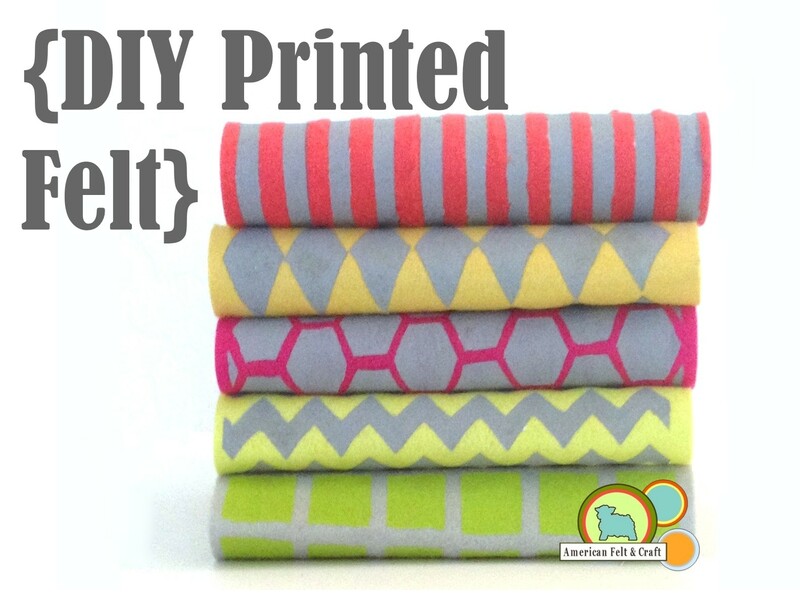 To print on freezer paper make sure that you print onto the matte (feels like regular paper) side NOT the shiny side. 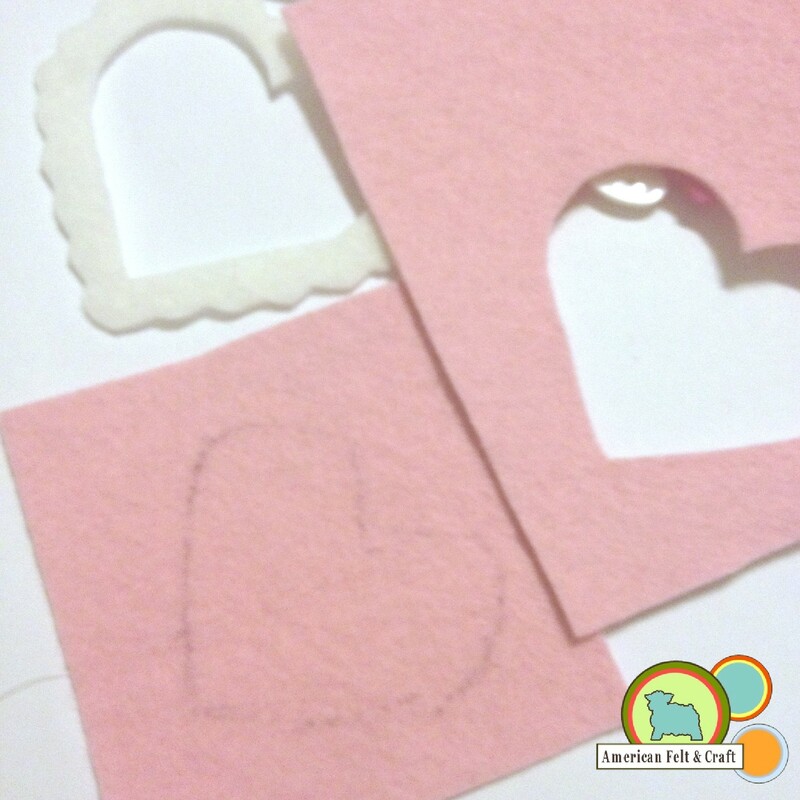 Print your design out onto the freezer paper sheets making sure to leave space around the edges to keep the paper intact after you get done cutting. This is exactly the way your pattern will look when it is stenciled so don’t get all fancy and print your letters backwards or anything. Viola! And, we’re cutting…and we’re cutting. Congrats your freezer paper sheet is now officially a stencil! Set your iron to wool lady friend because it’s time to make some magic! Line up your stencil on the felt sheet shiny side down. The shiny stuff (technical term) will melt slightly and create a seal which won’t leave residue on your felt when you’re ready to peel it off. This temporary seal will need to hold a clean line so make sure to press firmly as you go paying close attention to edges and corners. NO STEAM! Textile medium (also called fabric painting medium) is not optional if you are using acrylic paint. 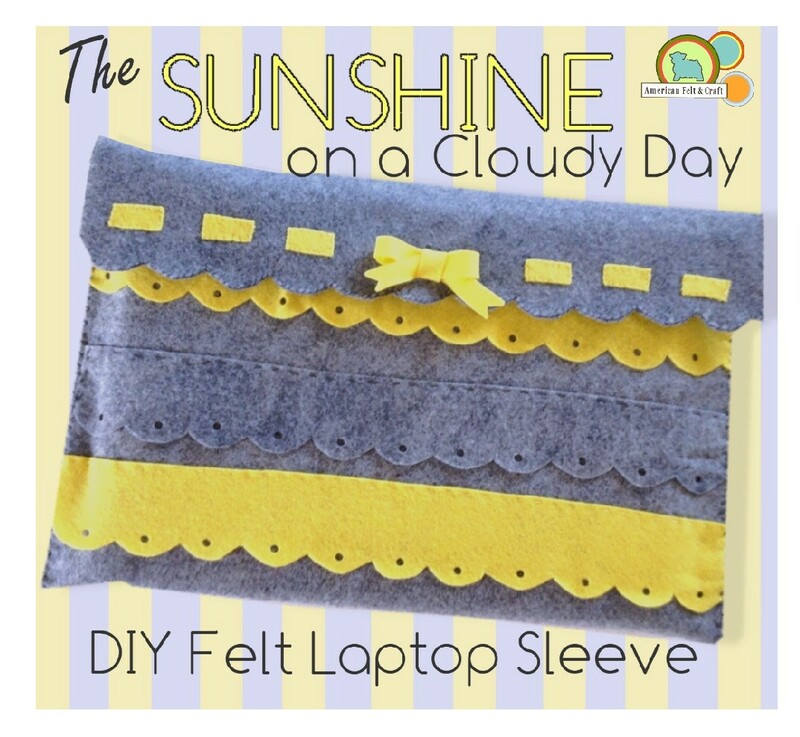 It magically transforms dull flaky, acrylic paint into a fabulous permanent washable fabric paint. The textile medium also helps the paint become more pliable which prevents, cracking, lifting, and fading. Mix the paint with textile medium 2: 1. or as instructed. Mix well. Unless you get crazy with your paint and saturate through the entire thickness you shouldn’t need anything under your felt but this can be a messy process so you will need to protect your work area, a poster board is perfect for this. Using a sponge brush paint over the stencil. 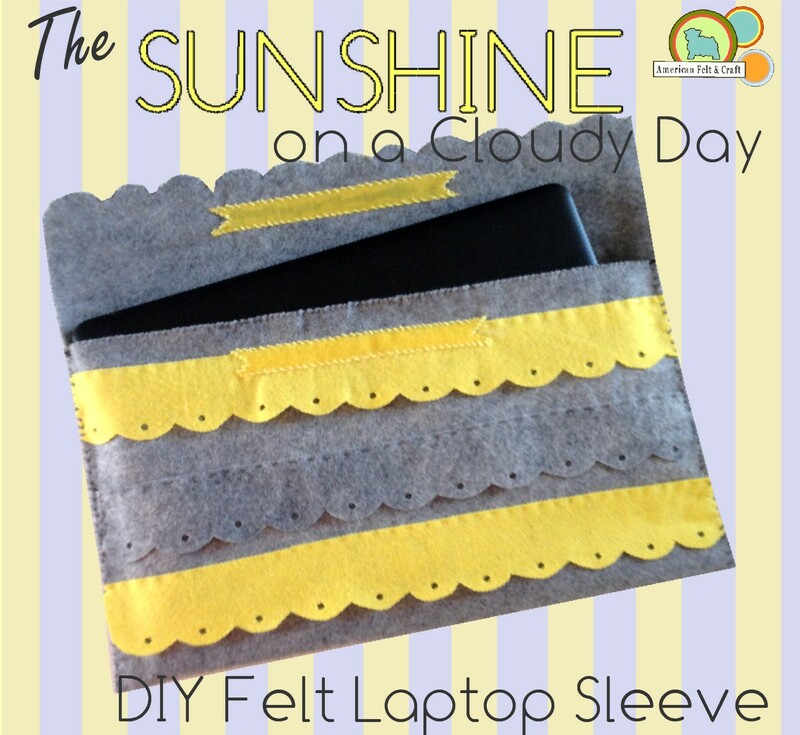 One coat should be fine but if you want to do a second make sure your first layer is fully dry. 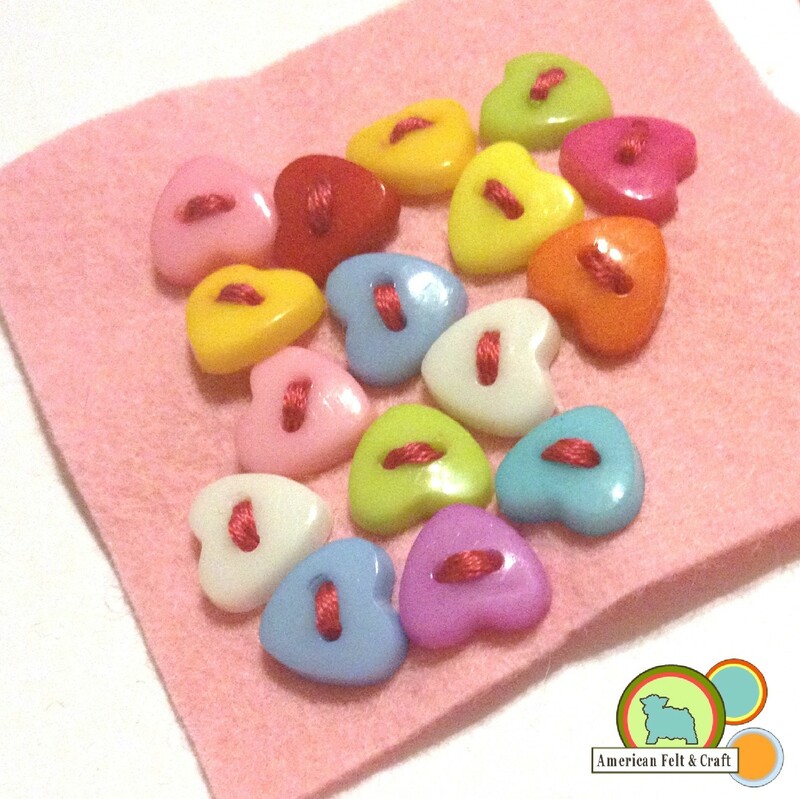 Remove the freezer paper after the paint is set but before the felt is fully dry or cured. (The paint on the paper is dry but the paint on the felt is still moist.) This is much easier than letting the paint fully set. They will be dry to the touch pretty quickly but allow them to cure overnight. 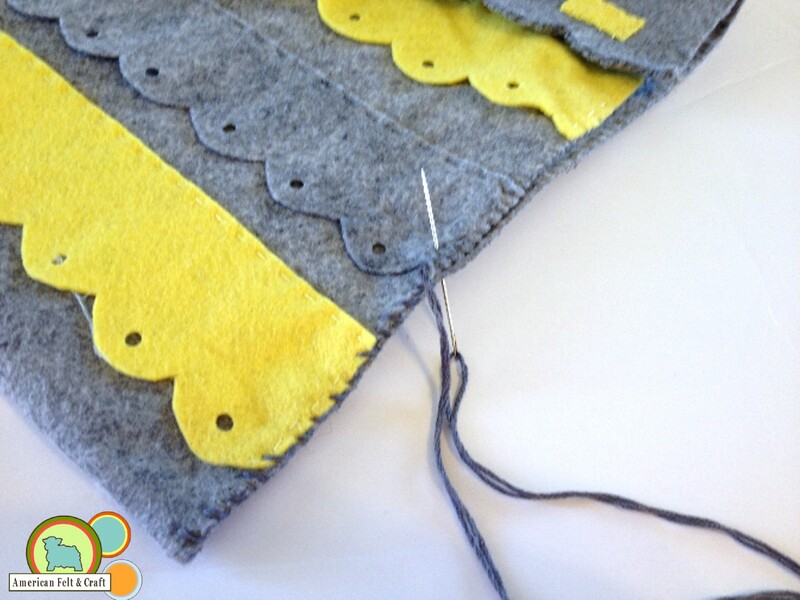 To set the paint you will need to iron over the dried paint on the wool setting. Use as you would any felt. 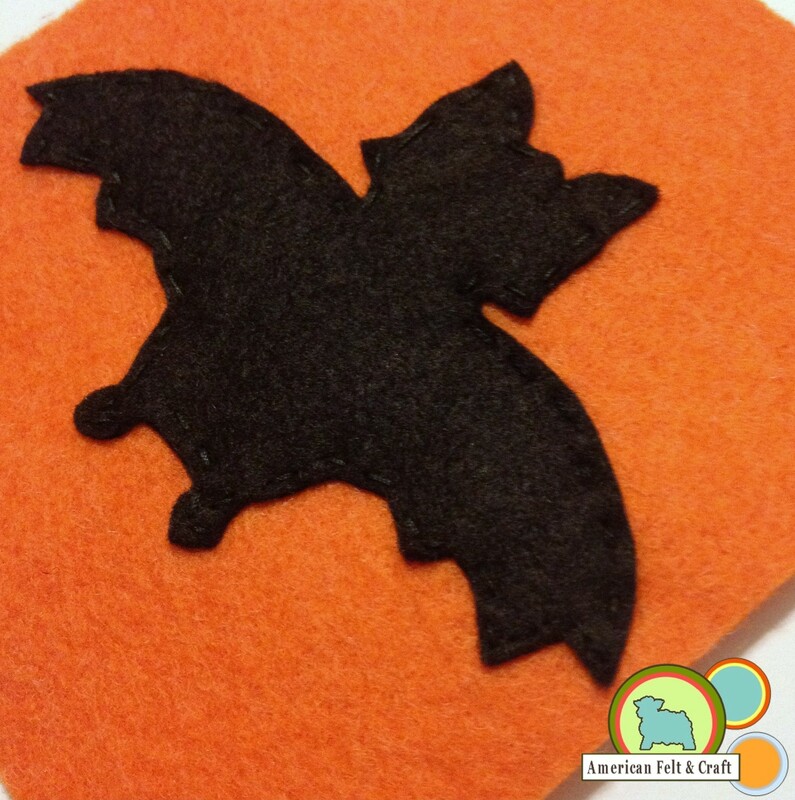 Check out what we made with the wood-grain felt! Now what to do with these guys… I am thinking coasters, maybe a notebook cover? *Those of you who did not properly prepare to have your minds blown, I am sorry but I did try to warn you . * The textile medium worked fine on the synthetic felt but the freezer paper wasn’t able to make a solid bond on the appropriate heat settings for synthetics. It may have sealed at a higher temp but this isn’t Myth-busters and I risk my iron for no man! 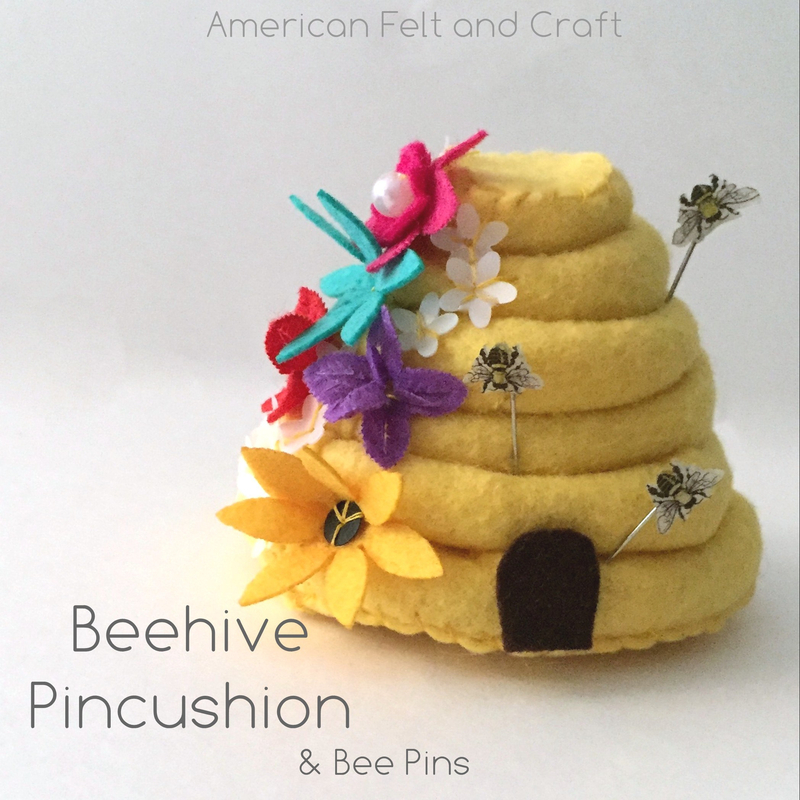 * This technique didn’t work on the bamboo felt, the composition of the felt is so soft that it adheres a little too well. * Painting with a sponge brush in light layers will help keep the lines clean. * Don’t mess up- Paint is forever so be careful! 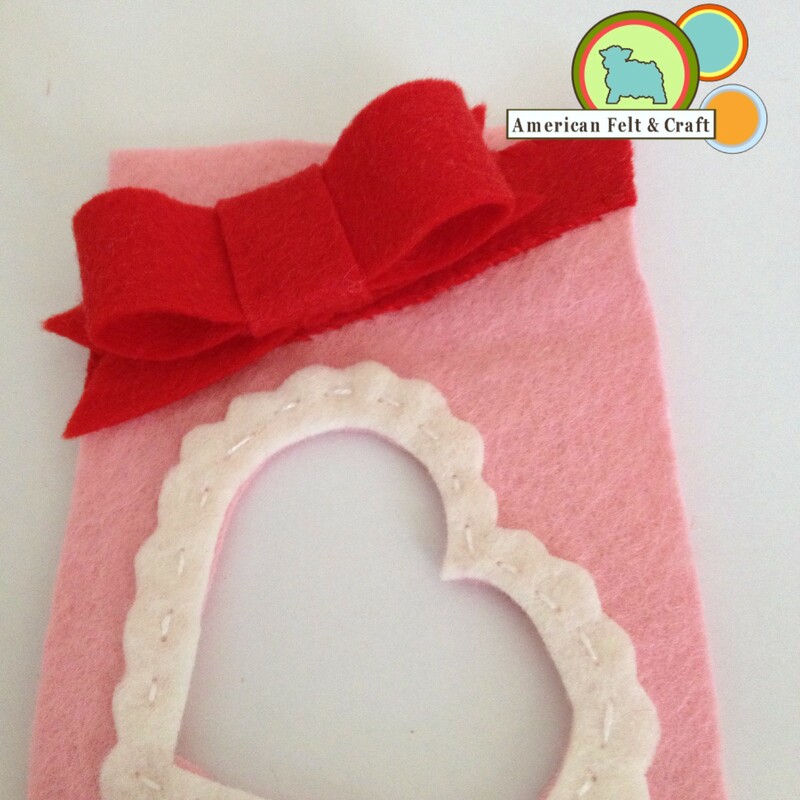 If you didn’t over saturate your felt you should be able to flip it over and give it another try on the reverse side. 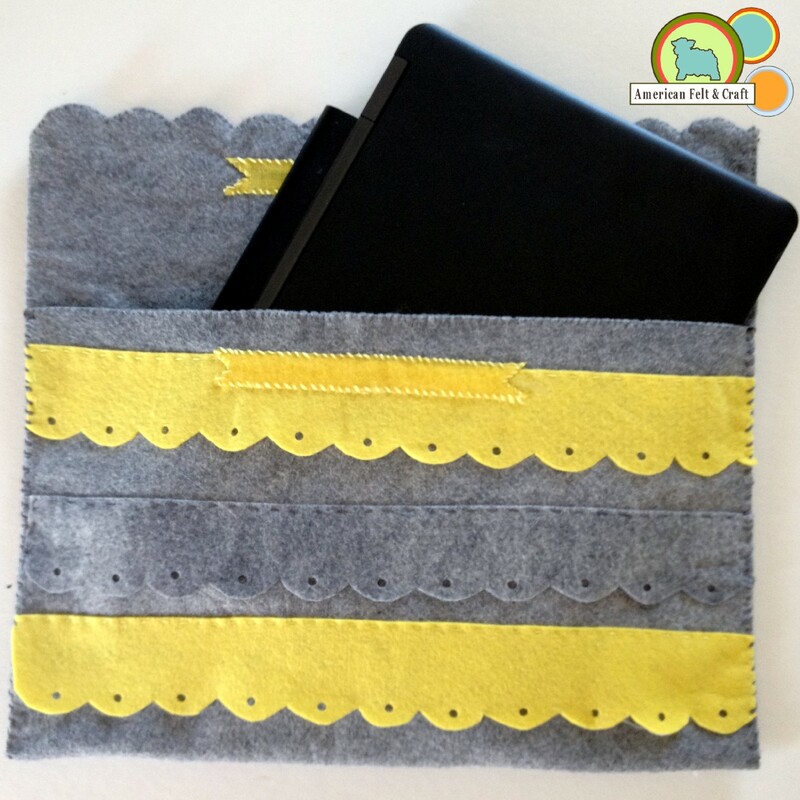 * Mixing textile medium with acrylic paint is a way to get a large range of color choices without having to make an investment in each color of fabric paint. Especially since you may only need a small amount paint. It also allows for easy custom tinting. 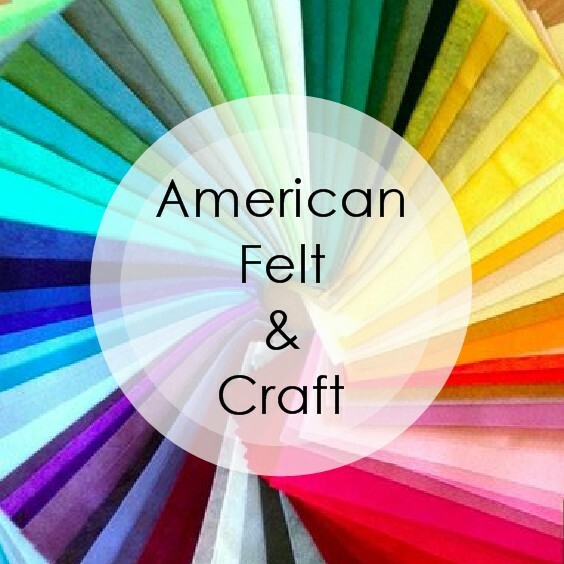 The size of a sheet of freezer paper is pretty close to felt sheets we sell at American Felt and Craft and many other places so you know exactly what will fit. 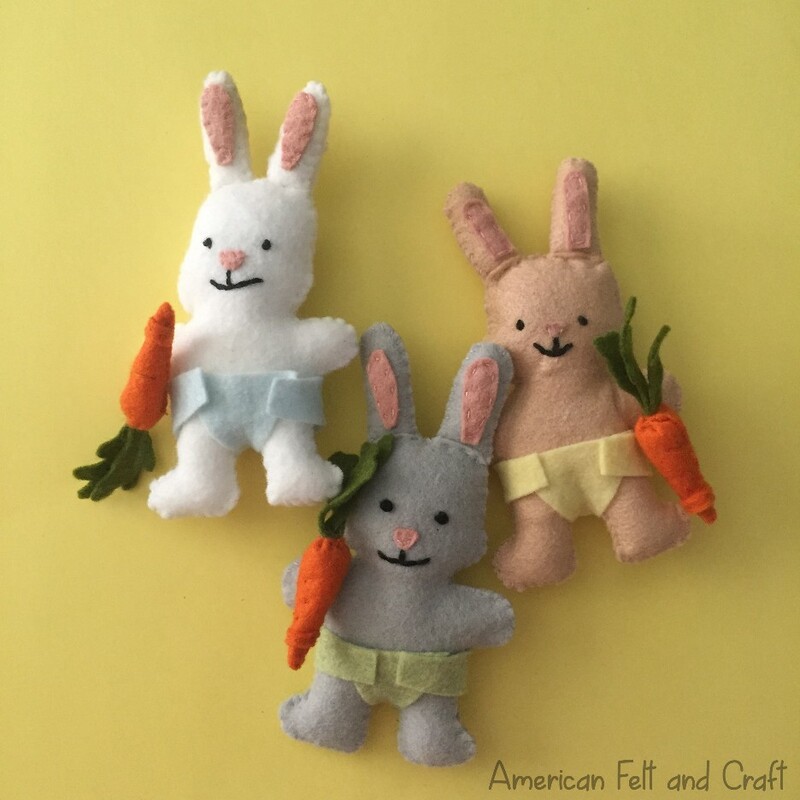 Check out the latest free pattern from the insanely talented Stephanie at Imagine Our Life! What a fun and amazing work of art not to mention a great toy for all those holiday car trips! The whole piece is supported on folding struts which allow it to fold flat to fit in quiet books or just for easy storage and travel! I just love the flying dragon! * All images via Imagine Our Life.